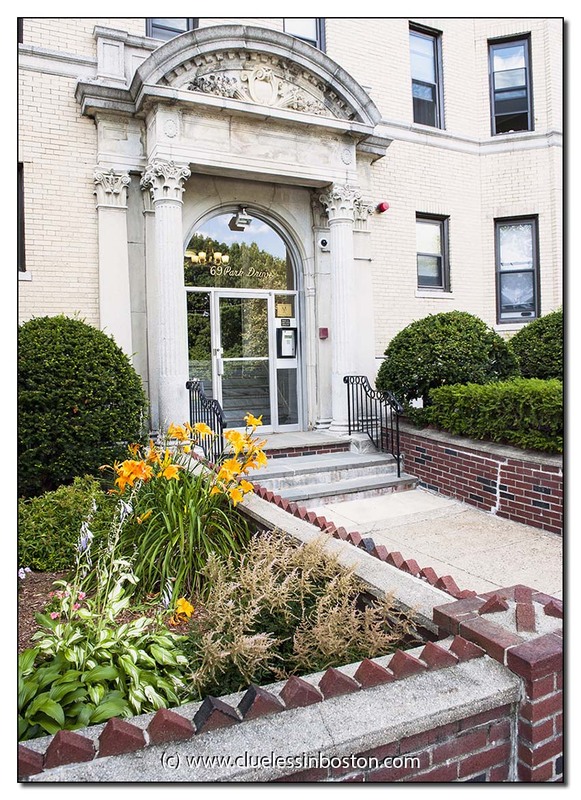 This week's doorway, like last week's, can be found on Park Drive in the Fenway. This very impressive door offers a great contrast with the simple bricks wall behind! This entrance is magnificent with the splendid door and you got beautiful reflections in this picture!Bravo! It looks quite fancy! Have you had a very dry summer? The garden looks parched. NO sitting, pleas. Butts beware! You have such an endless supply of beautifully elegant doors!